In 1997 Salt Ayre Sports Centre was built, the build was over budget and overran in terms of delivery schedules. This has lead the Council to be risk adverse. Over recent years the condition of the building has declined and investigations to improve the building; mainly to increase numbers in the gym; had been explored but not executed. A report to members in January 2015 concluded that officers should seek a development partner to invest and improve the centre in the short and medium term. Lancaster City Council embarked on commissioning and procuring a partner to revitalise the sports centre by renewal of the fabric of the building and the introduction of new leisure facilities. A cross functional team was assembled, ensuring that the knowledge, skills, capacity and experience were involved from the first concept meeting. The procurement process involved the use of the then newly introduced standard Pre-Qualification Questionnaire, the use of a specification detailing outcomes in relation to health and social care to a wider population and the continued sustainability of the facility. From the outset it was evident the centre had to change its offer to customers and increase both the number of members and visitors and increase the income in order to reduce the operating cost to the council and secure its future. The project is the biggest single site development within Lancaster City Council and was regarded by some with scepticism. These two factors put pressure on the team to ensure the success of the redevelopment. In reality the centre is now a hub for fitness and leisure and has seen significant increases in income, membership, participation and reputation with the district. The multi-disciplined professional team delivered the project by commissioning a specialist leisure development partner with experience of multiple project delivery which has allowed the most expedient and efficient route to delivering the ambitious expectations of members and customers. This was a large and complex project and the team have delivered a redevelopment that has exceeded all expectations. The transformation of the centre has seen hundreds of visitors and this expect to grow, including a significant number of local residents who have never previously used the centre and new clubs are extending and broadening the offer. Further evidence shows that visitors are now travelling from out of the district making this a true visitor attraction. 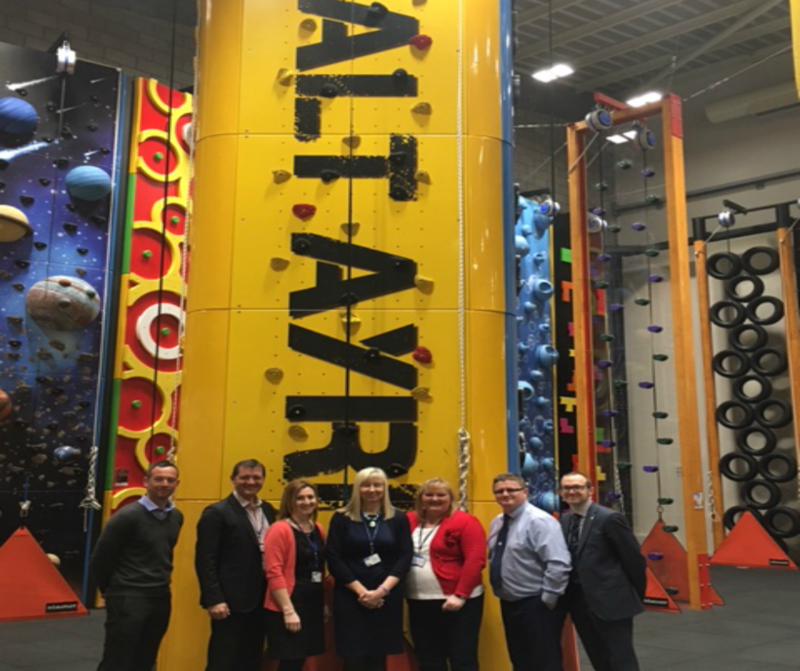 • Alliance Leisure able to demonstrate they are a public sector leisure industry specialists and has led to other adoptees. • Ground breaking facilities introduced, including a Les Mills Immersive Studio – the first owner operated local authority facility in the country.